McAfee has scoured the web for the most dangerous domain names on the planet and found that Cameroon's .cm suffix is used the most for phishing scams and the like. Cameroon has usurped Hong Kong's domain (.hk) which topped the list last year. The reason for this is fairly obvious: web scammers are taking the opportunity to target users making silly typographical errors. This is something McAfee agrees with: "Because the domain .cm is a common typo for .com, many cybercriminals set up fake typo-squatting sites that lead to malicious downloads, spyware, adware and other potentially unwanted programs," says the company's release. You've got to feel sorry for legitimate sites based in Cameroon as a whopping 36.7 per cent of the country's sites pose security risks. 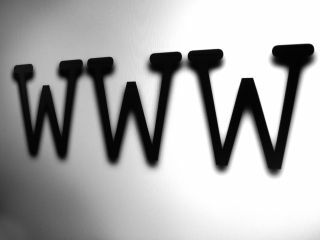 The other domain names which may cause you an online world of pain include: China (.cn), Samoa (.ws), the Philippines (.ph) and the former Soviet Union (.su). There goes our idea to make a Johnny Cash tribute website called www.aboynamed.su. If you don't fancy dicing with the dangerous domains, then Japan (.jp), Ireland (.ie), Croatia (.hr), Luxembourg (.lu) and Vanuatu (.vu) were deemed the safest. Go to www.mcafee.com/uk for more details.